There are some bands that we recall during our younger days. The old music that lingers in our mind. At the same time, the new songs from our favourite bands are still good and gaining more audiences including the young generation. It is because of their continuous energy in producing and performing music that everyone could enjoy. A good example of one of the great bands who has been in the music industry for almost 20 years is Crying Nut. 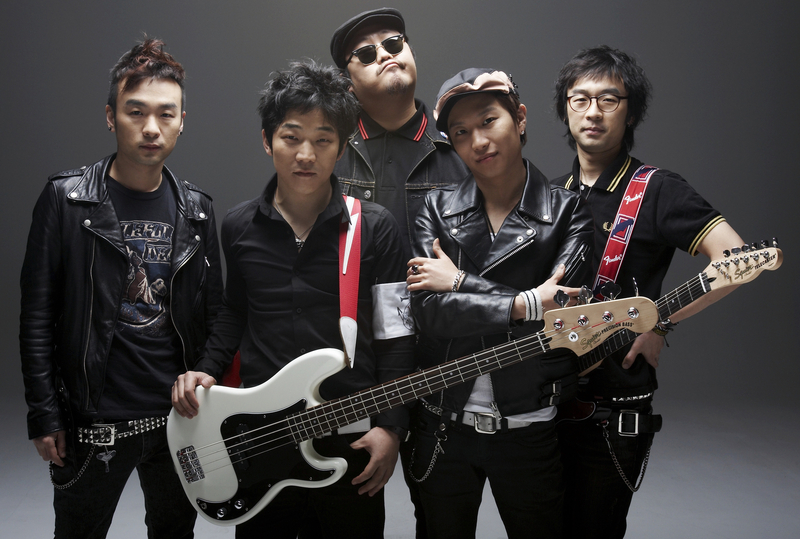 High school friends Yoonsik Park (guitar and vocals), Kyungrok Han a.k.a Captain Rock (bass and vocals), and twin brothers Sangmyun Lee (guitar) and Sanghyuk Lee (drums) formed as Crying Nut in 1993. In 1996, they teamed up with Yellow Kitchen to release split album, Our Nation Vol. 1. In 1998, they released their first full-length album, Speed Up Losers, which sold more than 100,000 copies. This is because this album is filled with high energetic and fun punk that listeners enjoyed. In 1999, fifth member, Insoo Kim (accordian and keyboard) was recruited. They released Circus Magic Clowns which led them to perform at the Japans’s Fuji Rock Festival and being nominated for Korean Artist of the Year at the MTV Asia Music Awards in the year 2000. In 2001, they release the third album, Poor Hand Love Song, sold more than 130,000 copies. Later, in 2010, the album was ranked no. 54 on 100Beat.com’s 100 best Korean CDs of the 2000s. Then, fourth album, Secondhand Radio, came out in 2002. Crying Nut has been quiet between 2003 and 2004 because the four members have to complete their mandatory military service. After they regrouped in 2005, they started to perform in other countries. They performed in Sweden (Trästock Festival), UK, Germany, and the US. 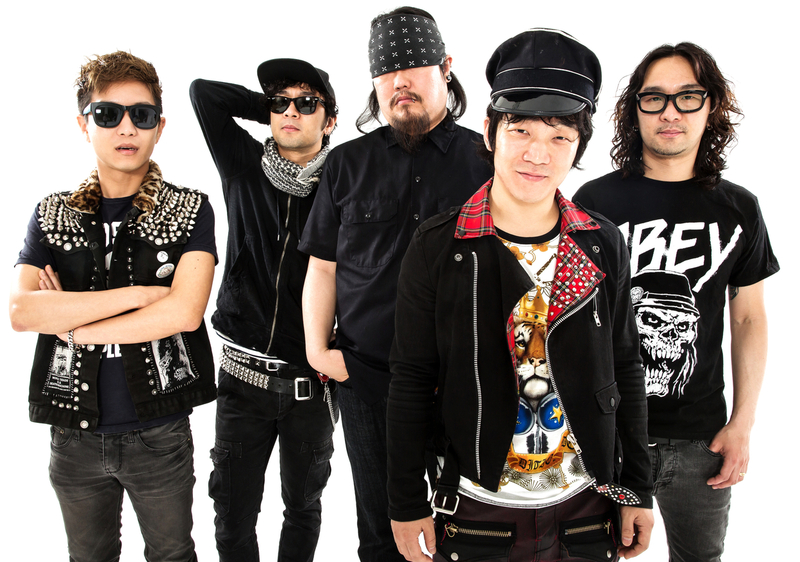 In July 2006, they released their fifth album, Milk Cattle at the OK Corral which offered them to receive nominations for Musician of the Year, Best Rock Album, and Best Rock Song at the 2007 Korean Music Awards. They continue to tour overseas at Singapore (Mosaic Music Festival), Japan, China, and the US in 2008. In 2009, after performing again at the Fuji Music Festival, they produced and released the sixth album, Uncomfortable Party. 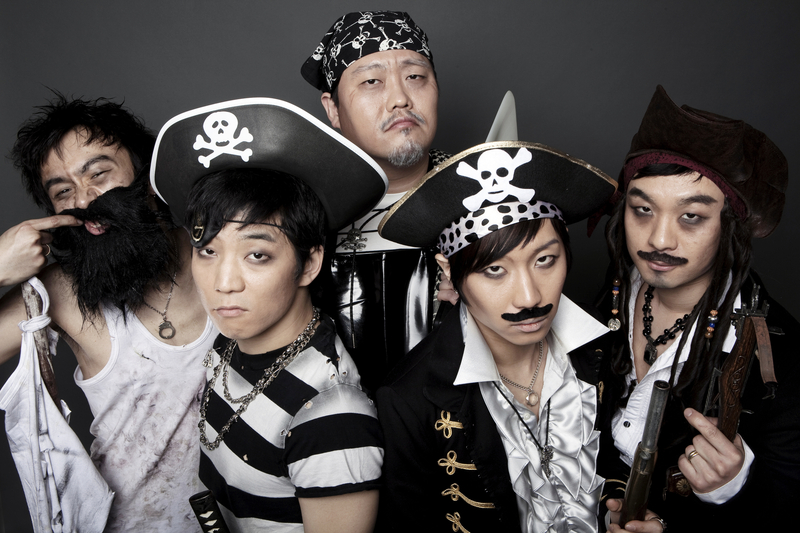 Crying Nut held a special concert to celebrate their 15th anniversary. They performed at the Singapore’s Music Matter in 2011 followed by performing at the South by Southwest (SXSW) and Canadian Music Week (CMW) as part of their 2012 North American tour. Last year, in July, they released their latest album, Flaming Nuts, which comprises of songs that have a mix of experimented sounds of reggae, ska, polka, heavy metal, and traditional Celtic music to addictive punk anthems. This album has a lot of happy anthem tunes that make you dance like there is no tomorrow. When they performed live, you will definitely be one of the audiences who are not only dancing but also crazily jumping. It fits well with not only both old and new audiences, but also to the rest of the world. It is a must-listen album that keeps you in a “happy dancing” mood. Crying Nut are back in the US to perform so you surely do not want to miss out their live performances. The members of Crying Nut, Sangmyun Lee, Insoo Kim, and Yoonsik Park, participate in the interview before the US tours. It is a great pleasure to speak with them who answer the questions with enthusiasm. Insoo Kim: Um … maybe as a melting pot of subgenres. Sangmyun Lee: It’s Korean Gypsy circus vagabond music. Crying Nut have been around for nearly 20 years. How you stay so energetic when performing and making albums? Sangmyun Lee: I think it’s easy for us to do because our band feels more like hanging out with old friends rather than working. Next year will be the 20 anniversary of our band. And for the bulk of those 20 years, we haven’t been sober! I think the main reason we like to keep performing is for the after parties! If we finish a gig, then we’ve got a good reason to get together and party all night. You combine punk rock with other musical elements like polka, reggae, and traditional Celtic music. What influences you in combining these different genres? Yoonsik Park: We all like lots of different styles of music. Good music is good music. It doesn’t matter if it’s polka, reggae, heavy metal, etc. We try and incorporate all the things we like when making music. I think Insoo’s accordion helps us a lot with diversifying our sound. Have you ever have doubts about how audiences would react to Crying Nut mixing different genres on old and new tracks? Insoo Kim: I never have doubts about how audiences will react to our music. I think if we start to worry too much, it will be a lot more difficult to make songs. Yoonsik Park: We play the music that we want to play. If we like it, we play it. Could you talk about how Flaming Nuts was made? How is it different from your previous albums? Sangmyun Lee: We recorded, mixed, and mastered the whole album on our own. It was a great experience and we’ll try to keep doing the same thing in the future. Yoonsik Park: Flaming Nuts was our “do it yourself” album. It was fun to have complete control over everything. From the albums you have produced, which track truly represents your band? Why? Yoonsik Park: “Circus Magic Clowns” — the lyrics are about our tour experiences. What is your opinion about how Korean indie music has slowly starting to be heard by more international audiences? Insoo Kim: It makes us happy! Sangmyun Lee: It’s a good thing. Korea has a lot of awesome indie acts. Hopefully people will continue to look for cool Korean bands. In March, you are going to tour in the US and also play at the SXSW 2014. How do you feel about that? Yoonsik Park: We feel great about it. We played at SXSW in 2012 and had a blast. We’re excited about being able to play there again. I hope we can surprise people with our music like we did two years ago. But I want us to play even better this time around. What are you really looking forward to about touring in the US again? Sangmyun Lee: I don’t really have anything that I’m really looking forward to. I just want to have fun, which is what we usually try to do no matter where we are. I want to make some new friends, listen to lots of music, and make some good memories. Yoonsik Park: I think we’re all looking forward to meeting lots of new people and musicians at SXSW. And we really want to eat Texas barbecue again and drink lots of tasty American beer. What kind of set list are you going to prepare for your tours in the US? Yoonsik Park: We’re going to change our set list for each show. We’ll make a new set list on the day of each gig. You have toured in several different countries in the past. What have you experienced when performing for overseas audiences? What is the most memorable experience you’ve ever had overseas? Sangmyun Lee: Performances overseas are always fun. It’s great that music is truly universal and that good music can be appreciated by everyone across the world regardless of language or race. In 2005 we played at Trästock Festival in Sweden. We were so excited to go there and loved the nature and music in Sweden. We were the first Asian band to play in Sweden. I don’t know why, but some kids came up to us and were mocking us before we played. We just ignored them and played our gig like we usually do. After the show, those kids came up to us again and asked for our autographs. During the show they realized our music was good and started jumping around and enjoying themselves. We were all able to become friends through music. What’s something important that you’ve learned during your music career? Sangmyun Lee: When I was young, my mom always told me, “Don’t fight with your brothers and friends. Try to get along well with them.” I think this advice is important in the music industry too. Yoonsik Park: Always enjoy the moment. Insoo Kim: If you’re always afraid of something bad happening, you won’t be able to live and enjoy your life. Find more information about them through the official website and Facebook. Don’t forget to listen to their previous tracks and albums. You can purchase the albums through iTunes.